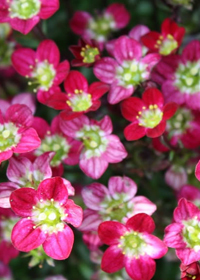 Stunning multi-colored pink and salmon-hued flowers bloom all summer. A compact grower wonderful for the front of a border garden or in mixed containers. A favorite of hummingbirds. 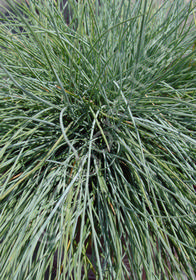 Very slender, long, sea-green blades form graceful clumps. Narrow, buff-colored plumes appear late summer. Excellent as a specimen or in the rock garden. 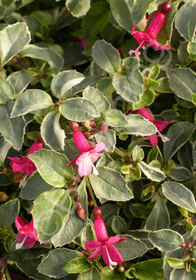 Tiny brightly-variegated green and white leaves and small narrow crimson flowers make this dwarf Fuchsia a knockout! Provide a protected site where this diminutive beauty won't be overlooked. Blooms summer to fall. Lavender flowers speckled with yellow in spring and summer top a bright green foliage mat. An excellent accent for the rockery, between pavers, or borders. Spreads quickly. Western native species with drooping racemes of rose flowers in spring. Loved by hummingbirds. Compact habit to 6". Good for any soil or the rockery garden. Fine-textured white flowers appear in early summer. 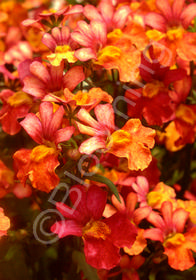 Orange mini-snapdragon flowers with a dark eyes bloom all season. 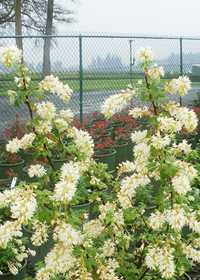 It has vigorous growth, uniform mounding habit, improved heat resistance and flowers early. This fast growing groundcover spreads several feet in one year! 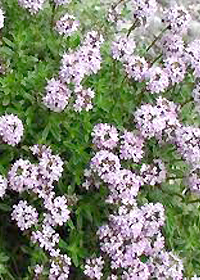 It is a great thyme selection, with big green leaves, red stems and soft pink flowers in the spring. It seems to tolerate more foot traffic than most thymes. 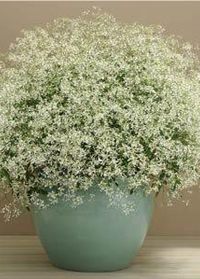 Neat mounds of fine-leafed green foliage densely covered with dainty snow-white flowers from spring through fall! 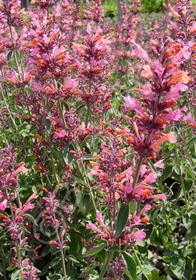 Fast-growing and free-flowering, it is the perfect choice for a container or at the front of the mixed border. 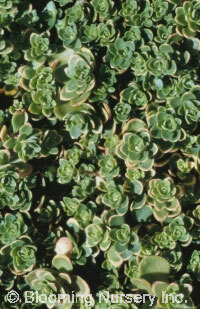 Forms a light green low, evergreen mound that becomes awash in scarlet flowers come spring and early summer. 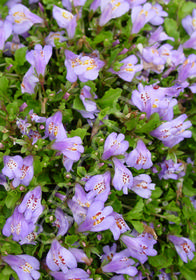 Loves partial shade and cool moist conditions, it is perfect for the scree garden or an alpine trough. 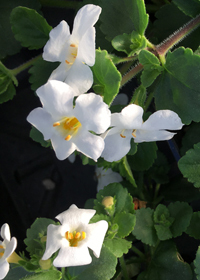 Large white blooms on cascading mounds, and especially perfect for hanging baskets and containers; exceptional heat tolerance and long blooming habit give this one the edge! Perfect for full sun! Lovely orchid colored blooms grace these compact growing plants from spring to the first hard frost! Tolerant of some sun, as well as shady exposures allows plants to be used in many challenging areas!